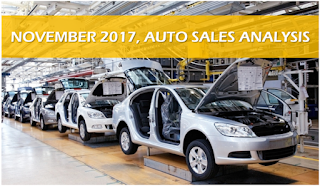 Automotive industry seems to be finding its feet again after a marginal decline of over 1% in October 2017 due to stock corrections on account of the ongoing festive season. As monthly results of automotive companies flow in, we can see that all segments have posted double digit growth. Center has announced a number of infra and highway project to boost the economic growth and as a result we can see that commercial vehicle segment have witnessed a vigorous growth led by M&HCV segment. Talking about passenger vehicles, several OEMs have posted double digit growth jumping high from the plunge of previous month. As collective growth has increased we can also see that the GDP has also surged to 6.3% in Q2, after a low 5.7% in Q1 2017-18. The demand of two-wheeler in both urban & rural regions is on the verge of increase, a strong sign of economic growth. 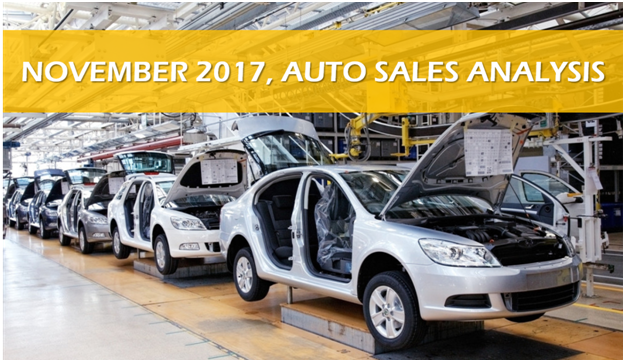 The sales of pre-owned vehicles and equipment in India has also shown effective growth as India’s Leading Service Provider for Exchange of pre-owned vehicles and equipment, ShriramAutomall India Limited (SAMIL) has also had a good November in terms of sales and it also noted H1, 2017-18 as its best in the history of the company. As expected after the festive season, passenger vehicle segment is leading the growth with major OEMs posting growth of over 10% with sales of over 2,70,000 in November. Following the passenger vehicle close is the two-wheeler segment that is on a recovery mode where manufacturers are posting good number of sales for November. Total two wheeler sales for the month of November is over 4,50,000. Commercial vehicle segment is also riding on the path of growth after the initial disruption in the market, surrounding demonetization and the BS-IV transition that largely affected the transport industry last year. Consumption driven sectors have shown an uptick in sales, since July 2017 and continue even after the festival season. The segment posted sales of over 70,000 for November 2017. Meanwhile as the new automotive market is on the growth track and is posting handsome sales in November. The pre-owned vehicle & equipment industry is almost catching up. If you are interested in acquiring a pre-owned vehicle for your family, then head straight to your nearest Shriram Automall, the company offers best in class line up of pre-ownedvehicles and equipment at optimal price.